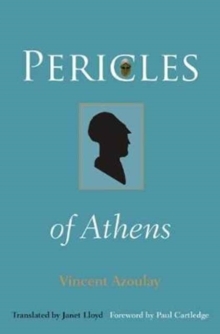 Pericles has the rare distinction of giving his name to an entire period of history, embodying what has often been taken as the golden age of the ancient Greek world. "Periclean" Athens witnessed tumultuous political and military events, and achievements of the highest order in philosophy, drama, poetry, oratory, and architecture. Pericles of Athens is the first book in decades to reassess the life and legacy of one of the greatest generals, orators, and statesmen of the classical world. In this compelling critical biography, Vincent Azoulay takes a fresh look at both the classical and modern reception of Pericles, recognizing his achievements as well as his failings. 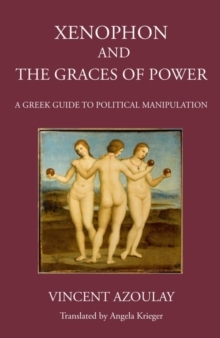 From Thucydides and Plutarch to Voltaire and Hegel, ancient and modern authors have questioned Pericles's relationship with democracy and Athenian society. This is the enigma that Azoulay investigates in this groundbreaking book. Pericles of Athens offers a balanced look at the complex life and afterlife of the legendary "first citizen of Athens."